Farm & Food Care Ontario officially unveiled the fourth version of The Real Dirt on Farming, its flagship public-outreach publication. The Real Dirt on Farming is a nation-wide initiative designed to help Canadians connect with their food and the farmers that produce it – who they are, what they do, and why they do it. Using both stories and credible science, the publication addresses common questions and misconceptions about Canadian food and farming, as well as other subjects that the general public has indicated are important to them. It also highlights innovations that support our diverse food system, and shares unique personal experiences to proactively build relationships with a non-farming groups. To keep pace with Canada’s changing food and farming landscape, new data from Statistics Canada’s 2016 Census of Agriculture, and new topics have been included. Other subjects have also been expanded to incorporate advances in science, farmer experiences and consumer questions. Substantial effort has also been made to ensure all information sources are credible and accessible to readers. This latest publication is the fourth edition since the project’s inception in 2006. To date, three million copies have been distributed to libraries, doctors’ offices, Registered Dietitians, political leaders, educators, and through inserts in national publications. The initiative is supported by a wide range of sponsors, and developed with the help of an expansive team of experts. Special thanks is given to Wallenstein Feed & Supply Ltd., as well as CropLife Canada for each supporting the project with $100,000 contributions. “We’re thrilled to support Farm & Food Care and the hard working people they represent. 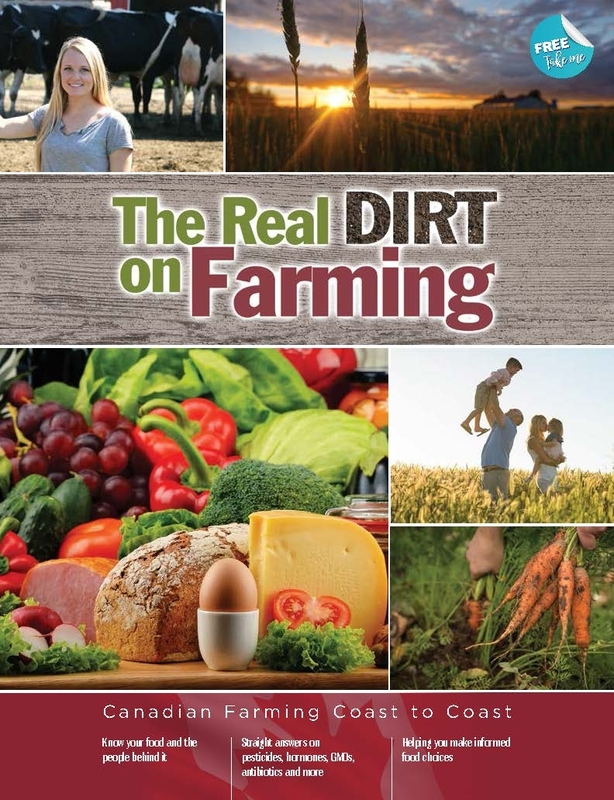 This latest edition of The Real Dirt on Farming does an excellent job of capturing the essence of Canada’s modern farmers and why they do the things they do,” says Rick Martin, general manager of Wallenstein Feed & Supply Ltd.
A full 60 page publication is currently available online at www.RealDirtonFarming.ca. Hard copies may also be ordered from the website. A shorter digest version is also being developed to help expand the reach of this initiative. Both the digest and a French translation of the publication will be available in hard copy and online in January 2018. Farm & Food Care Ontario is a coalition of farmers, agriculture and food partners working together to ensure public trust and confidence in food and farming. For more information visit www.FarmFoodCareON.org.